THE SHEEPDOGS ANNOUNCE CANADIAN TOUR AND MORE! 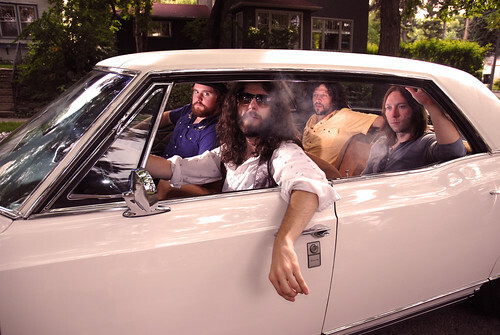 Saskatoon’s The Sheepdogs will be touring Ontario and eastern Canada September and October leading up to the release of their new album in late 2009. The band will kick off the string of tour dates with their performance at the Western Canadian Music Award’s in Brandon, Manitoba on September 20th. Their 2008 release The Sheepdogs’ Big Stand has been nominated for Independent Album of the Year at the WCMA’s. Their tour will include some US dates, Halifax, and everywhere in between. It will also incorporate their 3 week residency at the legendary Dakota Tavern in Toronto, Ontario.